Co-founder of Circomedia, Bim has been a professional performer and director since 1978. He’s worked with the pioneering circus-theatre groups Kaboodle and Mummer & Dada. Bim’s devised work has won three Fringe First Awards at Edinburgh: Talking Pictures (1989), and Rejects Revenge (1995 and 1997). As well as a performer, Bim is one of Britain’s leading mask makers. He created the Bigheads in 2003, a provocative street theatre piece that toured around the world. 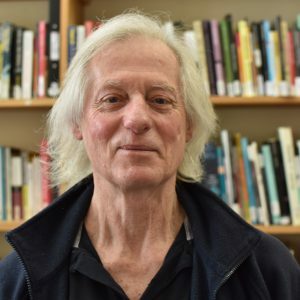 His writing work includes his own Street Theatre (1992), Provocation in Popular Culture (2015) and chapters on Lecoq, Bouffon, Street Theatre and Sean Gandini. Lex trained as a dancer, specialising in European Dance Theatre practice. She’s taught at all levels of education, from universities to primary schools to youth projects. As a performer, Lex has appeared on stage and in film, and worked with companies as diverse as Protein Dance, Double Barrel Films, FallingWide, Kit & Kaboodle, The Invisible Circus, and Swerve Dance Theatre. Lex recently joined the Mama Africa project which works within Bristol’s primary schools to develop and deliver a rich curriculum of African history through dance, music, research and spoken word. Working across TV, circus, cabaret and variety all over the world, Rod has earned a well-deserved reputation for being one of the Europe’s most entertaining jugglers. His innovative approach to the art won him the accolade of being one of the few Brits to feature in the book, The Virtuosos of Juggling. Rod has taught Circomedia students since the very beginning, and specialises in club passing, Gentleman Juggling and juggling performance. 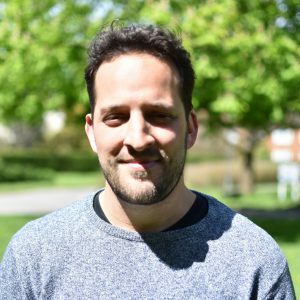 Sebastien’s background was in science, but after he came to Circomedia to study juggling and physical theatre he never looked back and his passion for circus has only kept growing since. When he’s not teaching, he tours the world performing innovative solo shows or collaborating with renowned companies such as Gandini. Seb co-founded Green Eyed Zero with Circomedia’s Rachel Pollard – a physical theatre company that combines contemporary circus, theatre and digital media. He is also a prop maker specialising in mechanical and animatronics apparatus. Before becoming an aerialist, Mike trained in Cape Town as a classical ballet dancer. He studied trapeze with Keith Anderson before touring with Circus Benneweis, Circo Cesare Togni, and Billy Smarts. Mike is also a successful producer and choreographer, devising original work with his company Above and Beyond, as well as producing flying acts for the Brit Awards, Euro 96, Simply Red, Barnum & Bailey, Circus Knie and many more. Jonathan’s career started in the cabaret, stand-up and live art scene in London. 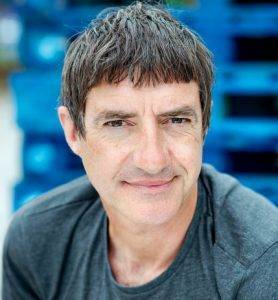 In 1995, he worked with Tim Vine on his Fiasco show, winning the Perrier Newcomer Award at Edinburgh Festival. 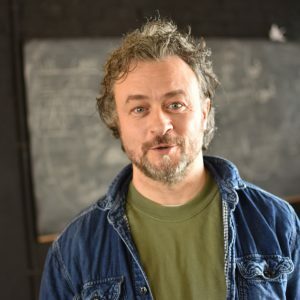 After training here at Circomedia, Jonathan worked internationally as a performer and teacher – collaborating with NoFit State, Cirkus Cirko, Kompani Giraff, and Kecca Rocca. His own Swedish-based company Fan-atticks runs a circus outreach programme for homeless children in Senegal. Janine graduated from Circomedia and went on to form the UK’s only tipping hoop duo with her performance partner Helina Griffiths. 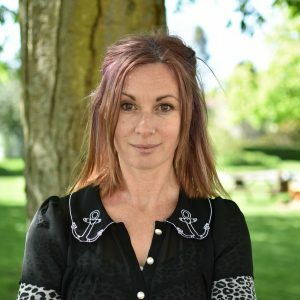 She’s worked with a range of companies including Arcadia Spectacular, Above and Beyond, Impact Artists and the Invisible Circus. Janine has gained a reputation for her strength and technique and strives to motivate her students by pushing them out of their comfort zones so they can achieve their aerial goals. 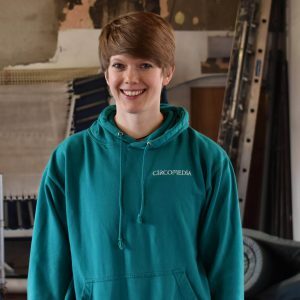 Lisa studied acrobatics and aerial here at Circomedia, as well as gaining her Teacher Training Certificate with us. As a professional performer, she has toured the world and taken her skills and talent to countries as diverse as Myanmar, Israel, Turkey, the Czech Republic and Germany. Lisa’s career has included performing on TV, in adverts, at corporate gigs, festivals, galas, theatre shows and within traditional circus. Dannick and his sister Marianne both trained together at the National Institute of Circus Arts in Australia under the expert tutelage of Moscow State’s Vasily Ivanov. In 2010, the pair took 14 young performers for a six-week tour of England and Germany. When the troupe landed in Bristol, Dannick and Marianne decided they weren’t going back. They now both perform teeterboard and acrobatics for the Invisible Circus and since 2011 Dannick has taught on both the BTEC and FDA courses. Mark started his career in the fitness industry – training as a sports therapist and fitness instructor. Deeply committed to pilates, Mark trained with Body Control Pilates and then went on to the study the method at a Masters level. 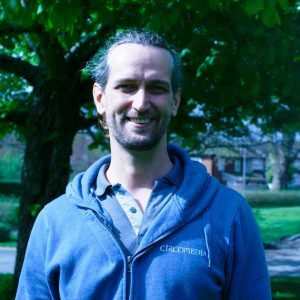 As well as teaching at Circomedia, Mark has delivered fitness training at the UK’s top health clubs, including David Lloyd, Living Well, Esporta and Next Generation. 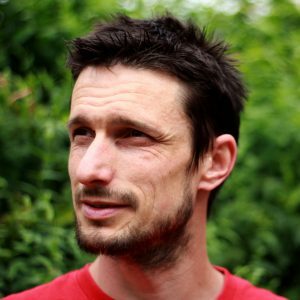 Mark is involved in training pilates teachers, and is the Body Control Pilates Association council member for the south. George Fuller is an American performer based in the UK. He specialises in street theatre, mime, clowning, improvisation, circus and contemporary cabaret. As well as continually touring his solo outdoor show ‘Man On The Moon’. 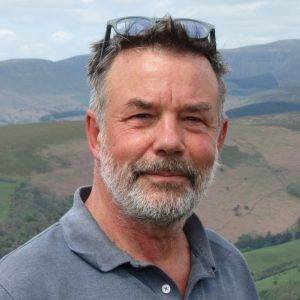 He is also artistic director of Mary Bijou Cabaret and Social Club and is a trustee of NoFit State Circus. Moira trained as a performer in Holland and Australia specialising in physical theatre. She works as a theatre maker, teacher, director and movement director. 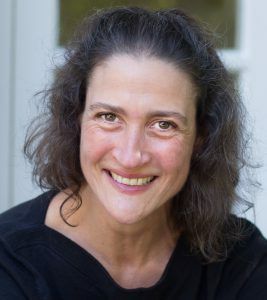 She specialises in corporeal mime, improvisation, commedia dell’arte and is passionate about creating physical language for an ensemble or an individual. Moira is Director of RoughHouse Theatre, a Sydney-formed and Bristol-based theatre company. Recent commissions and collaborations include projects with London’s Victoria & Albert Museum, Manchester Art Gallery, writers Nick Hornby and Daniel Wallace, Theatre Royal Bath and Tobacco Factory Theatres. Moira has an MA in Performance (Performance Collectives) from Chichester University. She is a trained Hatha Yoga Teacher. After graduating from Circomedia, Matt became the artistic director of PanGottic, an award-winning circus theatre company who have performed in countries as diverse as Holland, Latvia, Italy, Israel and South Korea. As well as his work with PanGottic, Matt comperes the Lansdown Cabaret, and recently performed in Beta Testing with the Circus Geeks. 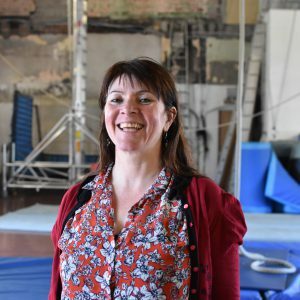 Catherine worked as an actor for nine years before joining Circomedia to discover how she could integrate circus with physical theatre as a director. Cat now teaches physical theatre, movement and reflective practice here at Circomedia (on both degree and BTEC courses) alongside devising new work with her company Can’t Sit Still. 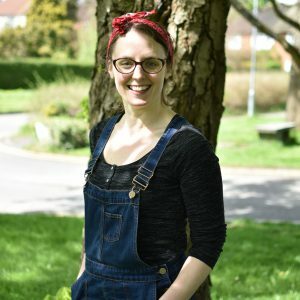 Cat has also worked with Hubbub Theatre, New Street Theatre, and Travelling Light, and is a freelance Outdoor Arts producer for Devizes International Street Festival, PanGottic and Theatre Bristol. Kate trained with both the Laban Centre and Circomedia. Her impressive performance credits include Skinning the Cat, Roughhouse Theatre Company, and Cirque Bijou. In 2002, Kate became the Artistic Director of our outreach programme and went on to set up our BTEC National Diploma qualification. Kate has an MA in Educational Research and was the lead tutor on our Teacher Training Course. As a freelance director, Kate worked with Cirque Bijou on Drawer of Dreams, a special production celebrating the re-launch of Bristol’s Colston Hall. She also works as a performance director for Tumbellina. Piers started his career training in aerial at Circomedia before travelling to South America where he spent several years working in Colombia with social circus. Piers is interested in fusing straps and corde lisse in a theatrical context. He also works with cyr wheel and video projection. Jacky has been a circus performer and theatre maker for many years. She specialises in teaching, directing and creating with all aspects of aerial, as well as acrobatics and various juggling skills. Currently she is a senior aerial teacher on Circomedia’s BTEC course. She has toured worldside as a professional aerial artist, most notably with NoFit State Circus and Skinning the Cat Aerial Theatre Company. In 2012 she co-founded Hinged Theatre who make participatory physical theatre for young audiences.